Each night the baker, Erik, calls the late-night radio program hoping to be honored "Joker of the Week". All ties to his family are long gone — along with his sense of reality. From Denmark comes “A Worthy Man,” directed by Kristian Håskjold, a quietly devastating drama about a depressed man learning how to tell jokes. He’s invisible to the world, and experiencing an inescapable, almost nightmarish, isolation from his family. His daughters are embarrassed by him; his son skips out on helping him at the bakery; his wife will hardly look at him. Erik’s only solace is a radio program featuring call-in jokes that he listens to nightly while kneading dough. He dreams of calling in himself and winning over the host. To that end, he watches web tutorials about joke-telling (“try to be as confident and cheerful as possible”) and practices incessantly, to the continued dismay of his children. As his dignity and sanity drift off, ever thus, he’s forced into a desperate call for help. 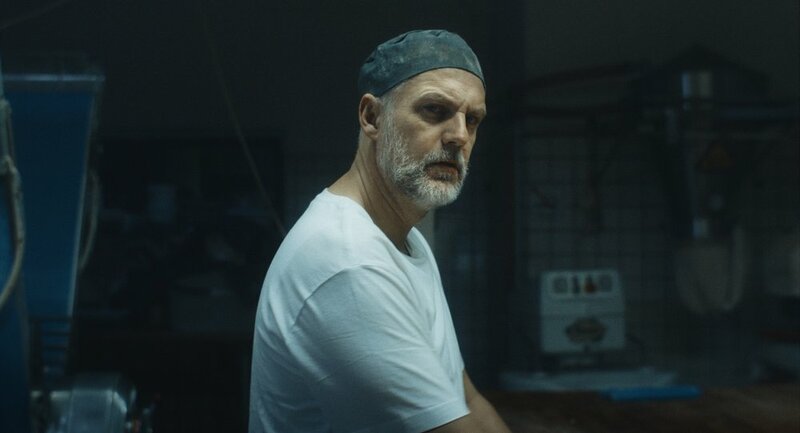 A remarkable performance by Troels Lyby leads the way in this slow-burn descent featuring some of the most vivid melancholy portrayed on screen in recent memory. Håskjold is also responsible for the equally excellent recent short, “Forever Now,” (we featured here in March) about a young couple breaking up and then taking Ecstasy together. Both films pack emotional wallops and demonstrate impressive range. (19 minutes). Directed by Kristian Håskjold. Starring Troels Lyby. Screenwriter: Marianne Lentz. Producer: Caroline Steenberg Dam. Director of Photography: Rasmus Hasle Jørgensen. Editor: Allan Funch. Sound Designer: Christian Munk Scheuer. Composer: Jesper Ankarfeldt. Production Designer: Eva Lendorph.